Martindales Limited has achieved ISO14001 certification for its Environmental Management System (EMS). ISO14001 is an internationally accepted standard that provides a framework for developing & implementing an effective EMS to help organisations reduce their environmental impact. The ISO14001 certification demonstrates Martindales’ commitment to environmentally-friendly working practices and our investment in resources necessary to ensure a sustainable future. It is an endorsement of the practices that have been in place for several years within the Martindales business such as sustainable procurement, energy efficiency and recycling of waste materials utilising our onsite recycling facility. 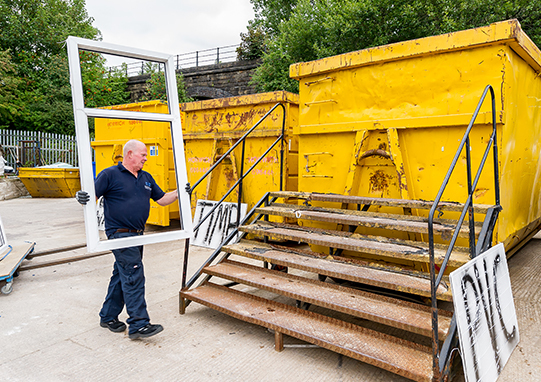 Martindales created a recycling facility to strip down and sort waste doors and windows for recycling. Thanks to the unit, Martindales’ recycling rate has increased by more than 350 per cent in the last 12 months, resulting in up to 80 per cent of waste being recycled. 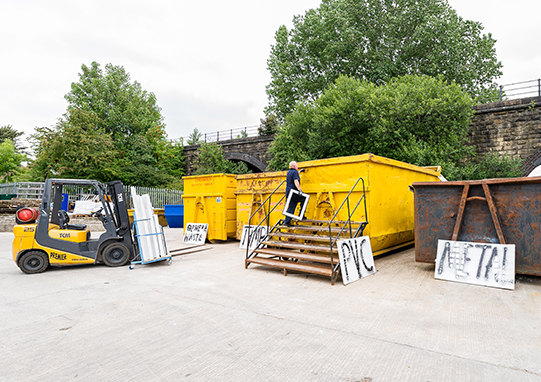 The Recycling allows MTF UK trade customers to dispose of their rip outs and waste of upvc, timber, glass and aluminium on a like for like basis, thus making huge savings on skips and landfill tipping. This recycling also massively reduces our clients carbon footprint… which benefits us all.